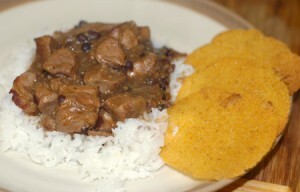 Cuban-influenced braised pork combines with black beans in this flavorful, but not spicy, chili. I served it over rice, with super-simple baked corn chips for crunch. 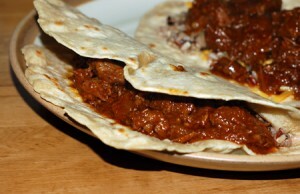 Chile colorado stuffed in homemade flour tortillas is a perfect way to celebrate Cinco de Mayo. This beef is meltingly tender and richly flavored, but not spicy. 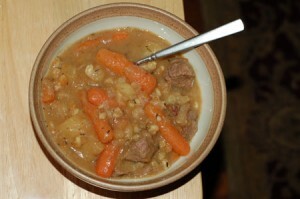 Boneless leg of lamb, broken down into Moroccan-spiced kebabs and a savory Irish lamb stew, thickened with potatoes and barley.